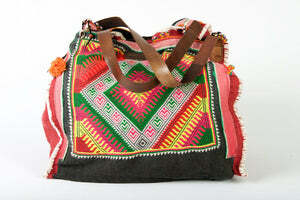 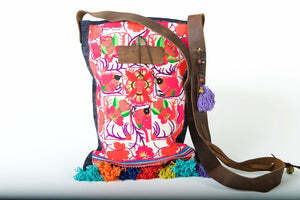 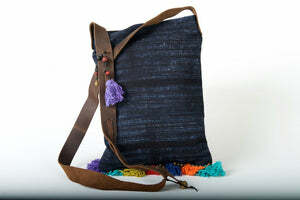 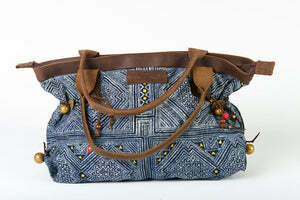 Own this stylish one-of-a-kind Boho Shoulder Bag and define sophistication and style. 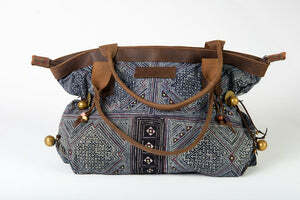 Your character and personality will shine through this go anywhere vintage fabric and charcoal coloured Hemp Bag. 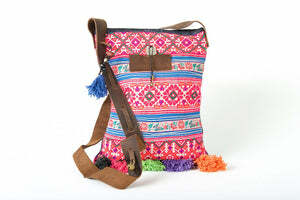 You can confidently take on anything with this daily handbag. 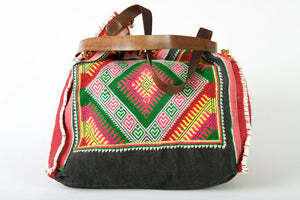 Chair a meeting or catch up with the girls with this bag at your side. 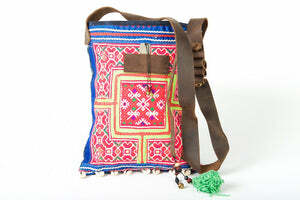 Fully lined with thick 100% cotton fabric, this unique bag has been lovingly made with vintage fabric that has been sourced from traditional cultures in Burma, Laos and Thailand and beautifully decorated with coins, shells, bells and pom-pom . 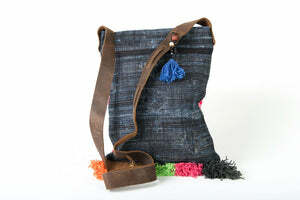 The length of the plaited strap can be altered to suit by knotting the leather thongs to make it suit your every need. 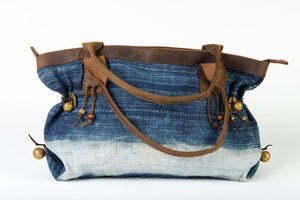 Tapering at the top, it is the perfect sized bag for anything you might need to do in your daily journey. 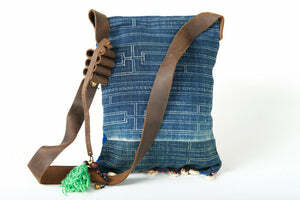 Wear it as a shoulder bag or cross-shoulder, with two handy pockets for your essentials and the zippered pocket for all those little things you can't afford to lose. 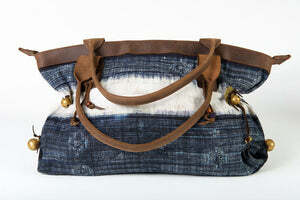 Positioned between our large totes and our smaller clutch sizes, the Sabrina is the perfect everyday bag.